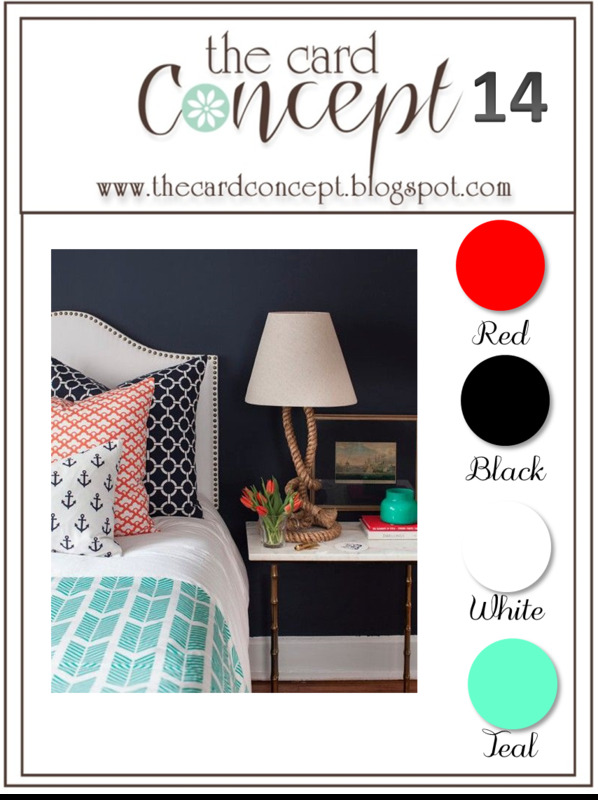 Hello black and white, with a dash of red and teal, that is! I made a Classy & Elegant card, taking inspiration from the patterns on the back pillow and the blanket. The pillow is black and white, and totally reminded me of the Punched Tin Background stamp from Market Street Stamps (aaahhh, I do treasure my discontinued MSS stamps). The blanket in the above photo has a design that made me think of my Herringbone embossing folder. After adding a 'hello' die cut, a couple of flowers, and a ribbon, I was done! Speaking of embossing folders like this one, does anyone else find that their cardstock buckles a bit after embossing with an intricate design? It bugs me, but I don't know if there's really anything to fix the problem. Sure hope you will join us for the Card Concept challenge. Click HERE for all the details! Wow !! this is elegance personified ..Your cards are always so beautiful Colleen ..i just love your take on the challenge ..Fabulous! absolutely perfect! Love the pop of color! What a beautiful elegant card!! The black and white is dignified and elegant and you've added just the perfect pop of color with the pretty roses. Funny how I'm locked into seeing this herringbone embossing folder as masculine when you've made it utterly feminine on your card. Some rethinking on my part is in order! I only occasionally get buckling with an embossing folder. Can't think which ones. Of course, now I'll have to try this one again after seeing your card. Love B & W cards with pops of colour. Wonderfully done! Classy and elegant! Yes the embossed pieces buckle! Need lots of adhesive! So elegant and loving the colors. About the buckling, it does seem my herringbone buckled...(haven't used it in a long time, though. I don't remember the others buckling. I'll try to remember to check next time. That's an awesome card Colleen. 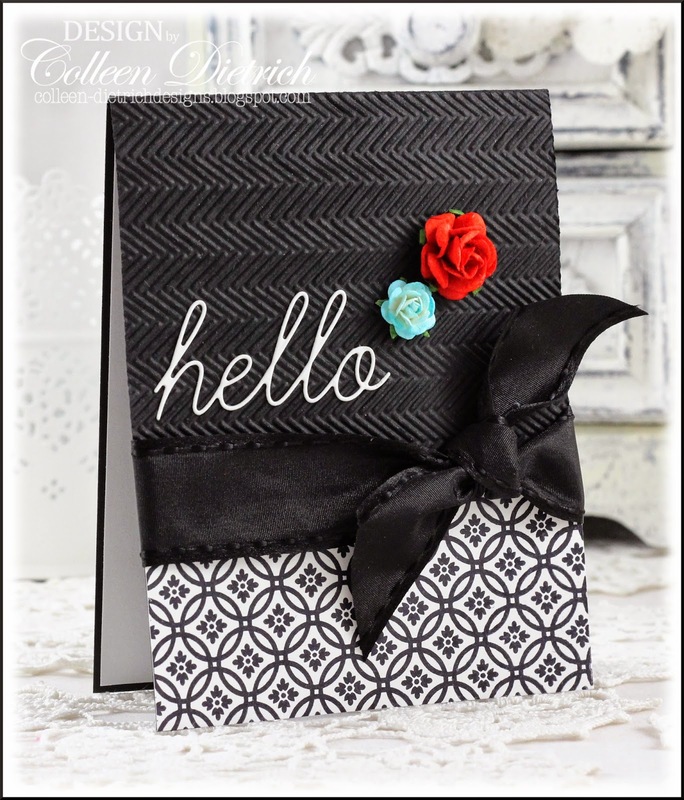 The patterns of the stamp and embossing folder make it so sophisticated. I really like those colors. If I get time I'm going to play along!! 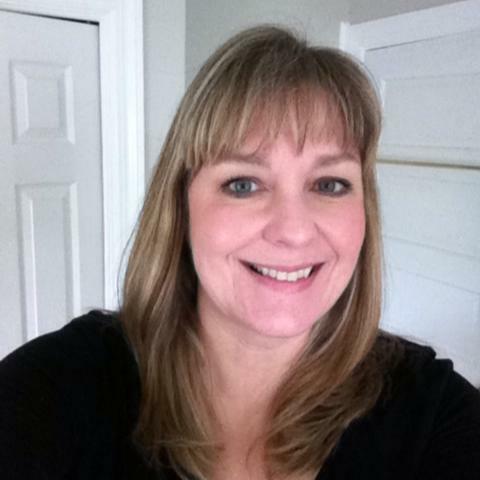 So pretty Colleen and perfectly elegant! 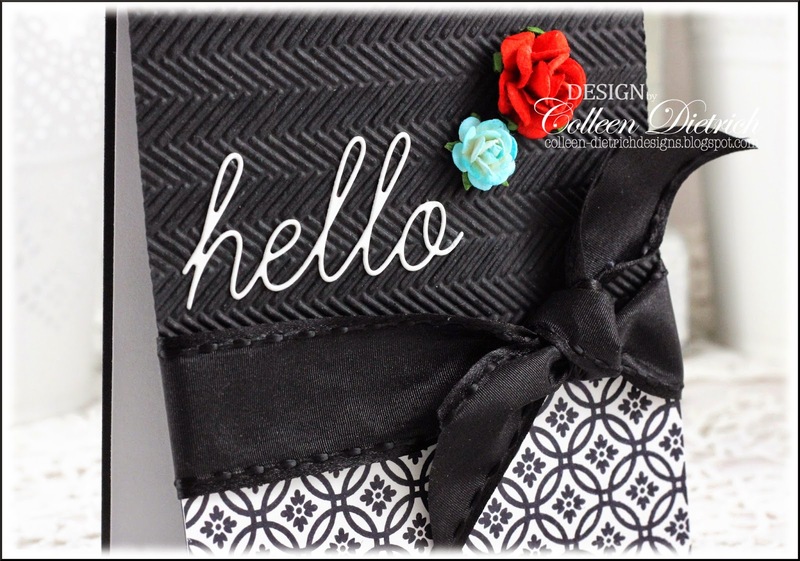 The embossing looks wonderful and I adore your ribbon treatment! Colleen this is such an elegant card! Love the die cut hello! Beautiful and elegant! Love how you added the color with the flowers. Gorgeous card, Colleen, love it! Elegant indeed! Love your B & W pattern paired with the herringbone embossed panel and that gorgeous simply knotted rich ribbon! 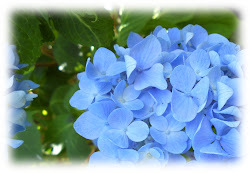 Those flowers finish it off with an elegance of their own too! Love the black - just makes everything really shine. Beautiful and elegant my friend. Hugz! Oh, Colleen! I love what you have done with these colors! Refined, elegant, classic. Proof that you do not need tons of everything to make an elegant card! Beautiful work. You have an amazing style! LOVE the black herringbone with that paper and the teal and red flowers just POP! Fab card, Colleen! Very classy and elegant! I like how you added only a bit of color with the two flowers... and the knotted ribbon! Nice, Colleen! As for the embossing/buckling..yes. I notice it too, and I got nothin. I just work around it now & usually cut it into a panel after embossing.